The heat-treated 6061 aluminium frame has the same quality and durability as a full-size mountain bike and is as light as our engineers can make it, thanks to a curved and formed down tube specifically designed for kids. Because we know that accidents can happen while they're pushing their boundaries, we've made the derailleur hanger easily replaceable. Just like a real mountain bike, the frame has V-Brakes front and rear. CUBE Action Team paint schemes and a range of colour options are available. The Kid 200 is essentially a real mountain bike. That's why we've fitted a MTB handlebar and stem combo, for the best possible control. The Shimano transmission with 7 gears is ideal for small kids' hands - they can always find the right gear. And, when the climb becomes too steep, the bailout 34 tooth sprocket can help out. Brake levers are specially designed for small hands, giving smooth control of the V-Brakes and plenty of power for early trail adventures.  A power modulator on the front brake prevents over-enthusiastic braking from resulting in an endo - or worse.